Mike Scott is so much the archetypal quirky, poetry-obsessed troubadour, it's as though he was written into being by the very scribes who inspired his love of words. As a young man, the Scottish-born singer made no real distinction between the value of The Beatles or Bob Dylan and the poets CS Lewis and WB Yeats as artists. They simply all wound up in his pot, along with a well-considered fascination with paganism and non-religious spirituality, which resulted in The Waterboys; a band he has remained the sole ongoing member of the 30 years now. Over the course of ten albums, Mike explored in great depth several points of fascination, but arguably none more than the work of poet, William Butler Yeats. 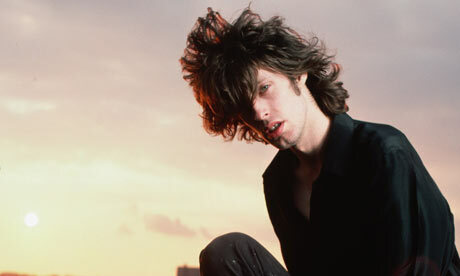 To understand the impact of Yeats on Scott's work, you only need delve into a random selection of Waterboys songs. The early 20th century Irish poet's own interests – paganism, the occult - heavily reflect those of Scott's greatest works, so when The Waterboys released an entire album of Yeats' words set to music last year, it was somewhat inevitable. Discussing the album – An Appointment With Mr Yeats - and the tour, which will include Australia for the first time, Scott from his adopted home (and Yeat's birthplace), Dublin, is finding the concept of embarking on new terrain strange and delightful. “I only have a vague outsiders perspective of Australia, but I do also have a kind of expectation I guess.” He explains, anticipating his impending visit. “I completely expect my preconceptions to be shattered, but that's the exciting thing about travelling to new places.” His band's invitation to bring their Appointment With Mr Yeats show to the Sydney Festival prompted a long-overdue full major cities tour. 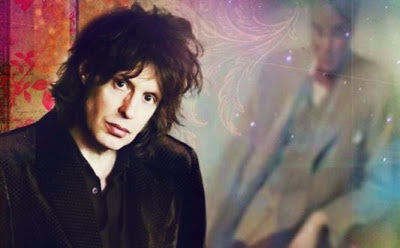 On the origin of The Waterboys' Yeats project, Scott explains, it was an idea planted within his psyche from a young age. “I knew about Yeats when I was ten or eleven, because my mum was, and still is a university lecturer in English and she would often mention this Yeats guy, but I didn't start to really focus on him until I was in my teens. At the same time, I was discovering music and the two things were very closely linked for me, and still are.” He recalls, “But I envisioned doing this show as long ago as 1991, so it only took me 21 years to make it a reality.” While developing his style, Scott was not only drawn to the poets his mother lectured about, but also literature on maritime symbolism, faeries and folk music which set his band well apart from many of their British contemporaries in the '80s. 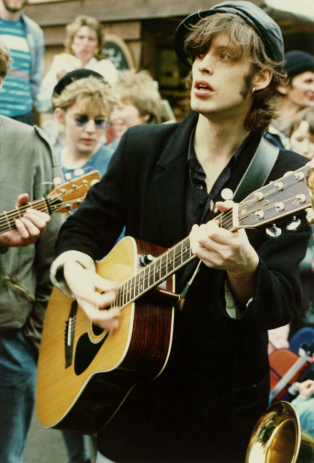 Yet in the post-punk era, The Waterboys managed to remain accessible, however traditional their influences, and even found themselves lumped in with the media-hyped Scottish 'Big Music' scene along with Simple Minds, Big Country and World Party. Big Music was at the time defined simply enough as having 'big, powerful choruses in the vein of U2'. Scott, however was far from interested in contemporary Edinburgh. Preferring instead to split his time between Dublin and New York, environments which inspired his writing as much as any book of verse. “Dublin in the 1908s was such a wonderful place to come home to after being on tour. It's where I wrote a lot of The Waterboys songs and the music for the Yeats poems, but also I've found that New York has had a profound effect on my work. It's this huge melting pot of all the world's music, and is a place where I feel quite creatively unrestrained.” By the time The Waterboys had released their third and most successful album, This Is The Sea in 1985, they had already introduced listeners to Celtic folklore, Native American Indian rites, political scrutiny and pre-religious spirituality. 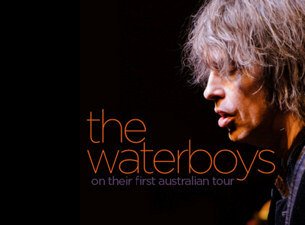 The latter, a topic which has often been widely mis-interpreted by groups claiming Waterboys to be both Christian and heathen, depending on who you ask. “I never subscribed to any religion. I always found magic to be much more interesting. When I was in my early 20s, I discovered spiritual literature and found there was a much greater depth to non-religious ideas about the world.” The deity Pan, from Greek mythology, is a favourite of Scott's, turning up in a number of songs (The Return Of Pan, The Pan Within), he discusses, “To me Pan represents our connection to one another and to nature. 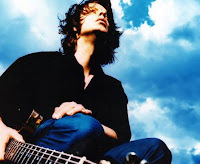 A lot of Christian religion seems to be about escapism, but Pan is a reminder to me that being connected is what's important.” Amongst the magic and mythology, on one occasion Waterboys did weigh-in on then current issues. Old England - an anti-Thatcher statement, put Scott among the many writers to 'turn political' in the '80s. “Well no bands emerged because of Thatcher and her government, but many songwriters were driven by a hatred of her. All I can say is, I wasn't immune.” While his ability with words seemed clear cut to the listener, Scott's signature tune - The Whole Of The Moon - was an admittance of the author's inadequacy, as he saw it, compared with 'the master writers'. CS Lewis is often cited as the song's inspiration, as is 18th century lyricist, Robert Burns. Burns - the Scottish poet, who is credited with penning the original New Year's party anthem, Auld Lang Syne - was renowned for adapting old folk tales into his 'contemporary' lyrics; a tradition that Scott has carried on.